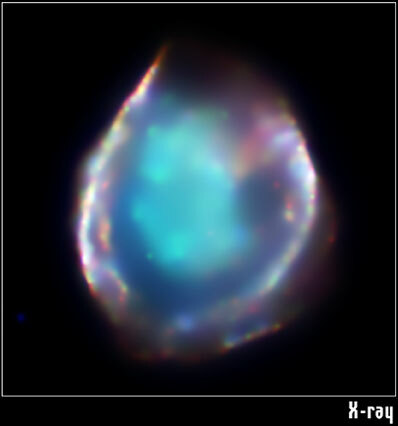 NASA's Chandra X-ray Observatory image (top panel) of the supernova remnant DEM L71 reveals a hot inner cloud (aqua) of glowing iron and silicon surrounded by an outer blast wave. This outer blast wave is also visible at optical wavelengths (bottom panel). 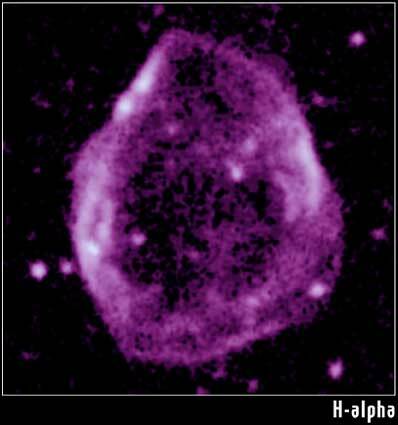 Data from the Chandra observation show that the central ten-million-degree Celsius cloud is the remains of a supernova explosion that destroyed a white dwarf star.